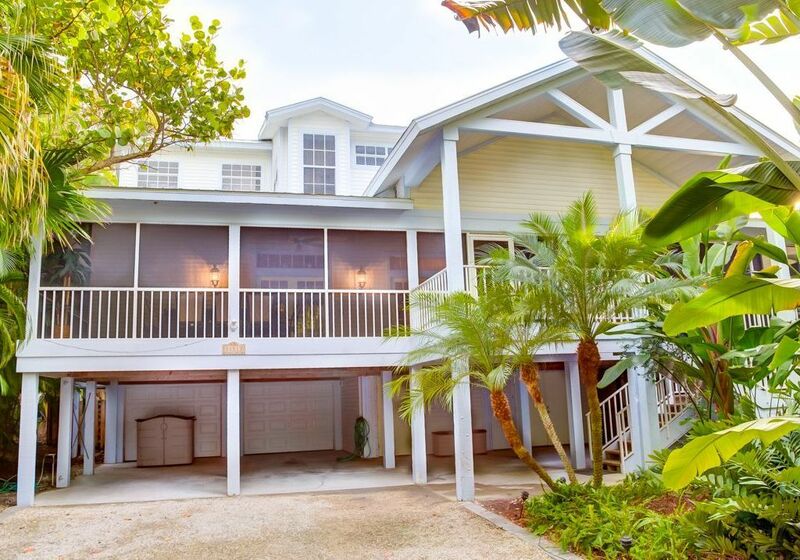 "Open Breeze" is a luxury home located on beautiful Wightman Lane in the Village of Captiva. The house has 3600 square feet under air, plus over 2000 square feet of screened porches, decks, and lanais. There's five bedrooms and baths, two laundry areas, a full dining area, and a fully-equipped kitchen. New owner as of July 2015. Newly upgraded TV's, every room has LED HD Tv, Cable with ALL Channels (Including premium). DVR in 2 rooms + living room. Fastest internet available, 120Mb download speeds. I grew up in Fort Myers, and spent summers on Sanibel/Captiva. We have owned a condo on Sanibel for 10 years, and have been looking for the perfect home for our family on Captiva. This house is perfect for our family of 6. Our children are all still home, but looking to the future, we wanted a place where the families could gather . This home is very large, and is perfect for 5 couples with small children. The outside living space is what sold us before we even entered the home. The screened porch is a perfect place to sit and relax. It is large enough for everyone to gather without feeling crammed. Being screened in, the bugs won't be a problem either! There is enough parking on the property for 6 cars, which is another unique feature of this property. In the center of the Captiva Village. Walking distance to shopping and restaurants. Unlimited Local & Long Distance (USA 48) included. * Two sets of washer/dyers- One set on main level and second set on top bedroom level. Garage Parking for 1 Vehicles, Covered Parking for 1 more, and driveway space for 2. 120MB Internet - Fastest available on the Island! 42" HD 1080P LED in every bedroom. 50" in Main living room. Premium HD - 320+ Channels including HBO/SHOWTIME/CineMax/Encore DVR in main living area + 2 master bedrooms. Salt Water, Heated Hot tub. Land line phone, WI-FI, Digital Cable TV (6) with new HD large flatscreen in great room, Refrigerators, 2 Washers & 2 Dryers, Fax Machine, Internet Hookup, Outside Shower, Beach Chairs, Beach Toys, Beach Umbrella, Beach Wagon, Books, Games. Our family had a wonderful time on vacation at Captiva Star! We can’t wait to come back! We especially enjoyed the beautiful pool and spa. The house was stocked with beach towels and beach gear. Everything was neat and clean. The house was absolutely perfect. Thank you! Deposit of 50% is due upon reservation. Final payment of the balance due for the rental is required to be paid no later than, (90) days prior to arrival. No reminder will be given to Guest for final payment. Any final payment that is not received by the due date may result in cancellation of the reservation and forfeiture of all deposits. All reservations must be paid in full prior to check in; any unpaid balance prior to check in will result in cancellation of the reservation. CHECK IN shall begin at 4:00 P.M. on the arrival date. CHECK OUT on the date of departure shall be promptly, and no later than 10:00 A.M. Guest’s failure to timely check out and vacate the Property will subject Guest to additional charges including additional rental charges, which will be collected from the damage deposit. CANCELLATIONS We understand that your plans might change and you may desire to cancel your reservation. In such an event, all cancellations must be in writing and received by Agent. Guest shall be entitled to a refund of all deposits, less $250.00, plus sales tax administrative fee for all cancellations made at least 90 days in advance of the scheduled arrival date. Guest shall forfeit all deposits, processing fees, and taxes paid to Agent for any cancellation made less than 90 days prior to the scheduled arrival date, unless the Property is re-booked for the same dates and same rate as Guest’s reservation.